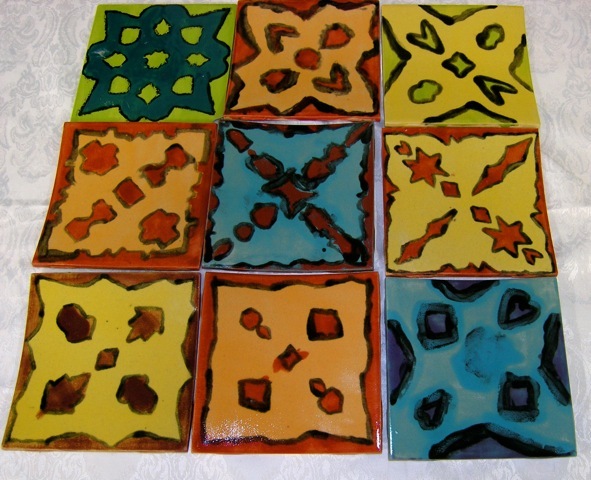 This fall, students in grades K through 5 created a tile mural with Mentor Artist Nadine Gay. Each student painted one tile in a multi-layered process inspired by batik art. First, a glaze color was chosen for the background and painted 3 times for depth of hue. Then a stencil was made by folding a square of paper the same size as the tile and cutting small shapes into it. Children laid the stencil on the tile and painted a layer of wax resist in the holes. The next step was to paint a second color 3 times on the unwaxed parts of the tile. Last, a black outline was painted around all the shapes created. 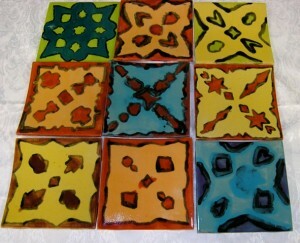 The tiles were ready to be fired in Nadine’s kiln. 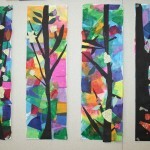 VSA arts Festival, 2010 – Celebrating Inclusion, Accessibility and Artists of All Abilities! 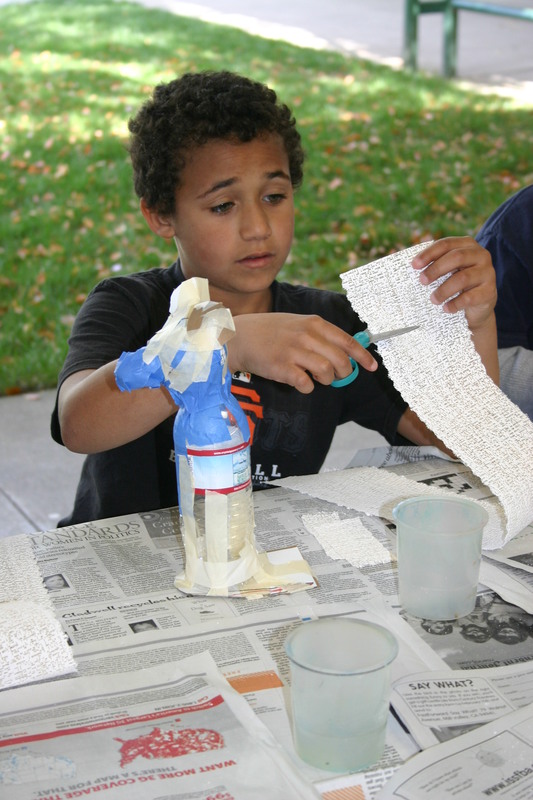 Later this month, Youth in Arts will hold our annual VSA arts Festival at Hamilton School in Novato, recognizing the fabulous artwork students have created through the Youth in Arts, VSA arts program this year. • ASL infused theater performance of “The Silent Lotus”, a Cambodian Folktale about a young deaf dancer. the North Bay, making high quality arts programming accessible to people of all abilities. Our experienced Mentor Artists also provide trainings for parents and teachers in Arts Integration, and addressing different learning modalities through the arts. This event is open to the Hamilton School community. For more information, call 415-457-4878. Youth in Arts Mentor Artist Nadine Gay worked with students from Hamilton Elementary’s Special Day Classes for 10 weeks doing 2-D and 3-D visual arts projects. Students in Ms. Johnson’s class first created 2-D Paper Masks utilizing simple geometric shapes, then made Tissue Paper Mosaics, incorporating lessons on color, contrast, balance and composition. 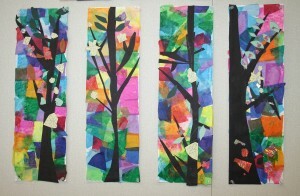 Students in Ms. Kelly’s class created Japanese Paper Landscapes, studying the basic principles of perspective. They also created colorful 3-D Paper Masks, exploring the vocabulary associated with paper exploration, including: fold, cut, tear, glue, zig-zag, straight, curvy and a multitude of shapes. 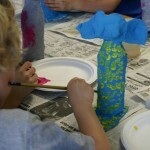 Both classes then went on to create fascinating Animal Sculptures made from recycled water bottles. Each student learned how to make the armature of the sculpture using a water bottle, paper and tape. 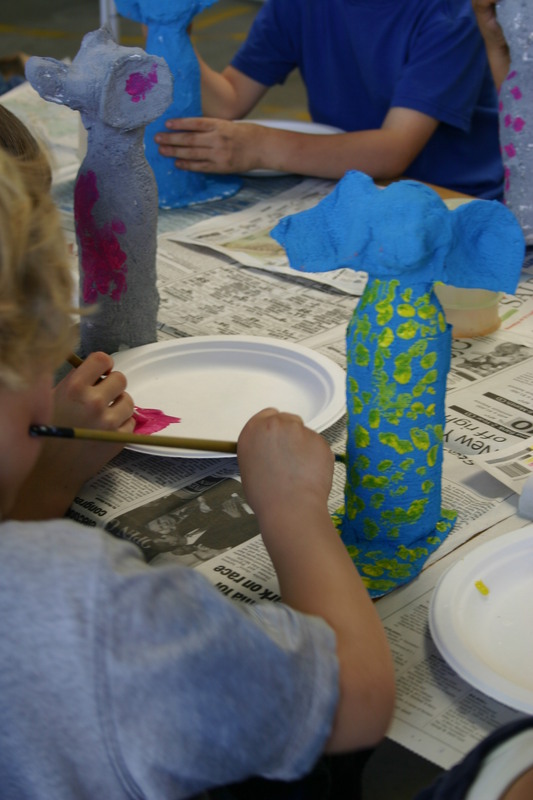 Once they had formed the basic shape of their animal, students then covered them with two layers of plaster gauze bandages.